Looking to add to your menu? If you want some online recipe inspiration, consider going to these five bed and breakfast association websites which feature absolutely delicious innkeeper recipes. The recipes are not just breakfast either! It includes tasty recipes for appetizers, baked goods, dinner meals, and even desserts! Many innkeepers share their recipes on their own websites and some even have their own cookbook. Foodies especially love to taste yummy new foods. Bed and breakfast guests appreciate having a variety of foods available to them. Most innkeepers offer complimentary snacks and beverages. Some innkeepers offer extra food to their guests in packages or picnics. Of course, inns that host events most definitely will offer refreshments to their guests. Half of “B&B” stands for breakfast so inns may be known for their delectable “signature dishes”! With that in mind, there are plenty of resources available (including these websites) for ideas and inspiration to add to your menu. Bon appetit! Breakfast food holidays occur throughout the year. One way to vary your menu and impress your bed and breakfast guests is to fix them food that is celebrated on certain food holidays! For example, the first Friday in June is National Donut Day. So what are just some of the amazing breakfast food holidays innkeepers can use? The cool thing about breakfast food holidays is that they correspond with the seasons of the year. It makes sense National Egg Nog Day is in December! Innkeepers and chefs, how do you come up with your menus each day? Some of you get inspiration from (or have even created your own) cookbooks! Others have tried and true family recipes. I know a big emphasis (and rightly so) is placed on buying local farm fresh food. Not only is it great that your food is prepared fresh in your kitchen, but that your bed and breakfast/restaurant supports your local community. In addition to breakfast food holidays, if your bed and breakfast specializes in cooking a certain type of food, then by all means embrace that. One deliciously distinctive type of cuisine is the Southwestern cooking cuisine. Depending upon your bed and breakfast location and your family roots, your guests can enjoy a variety of delectable dishes authentic to your region and or ancestry. The fictional Thyme and Tide Bed and Breakfast is featured in Cedar Cove, the #1 rated Prime time drama of 2013. This television show airs at Saturdays at 8 pm EST on Hallmark Channel USA. Season 2 premiered July 19 of 2014. 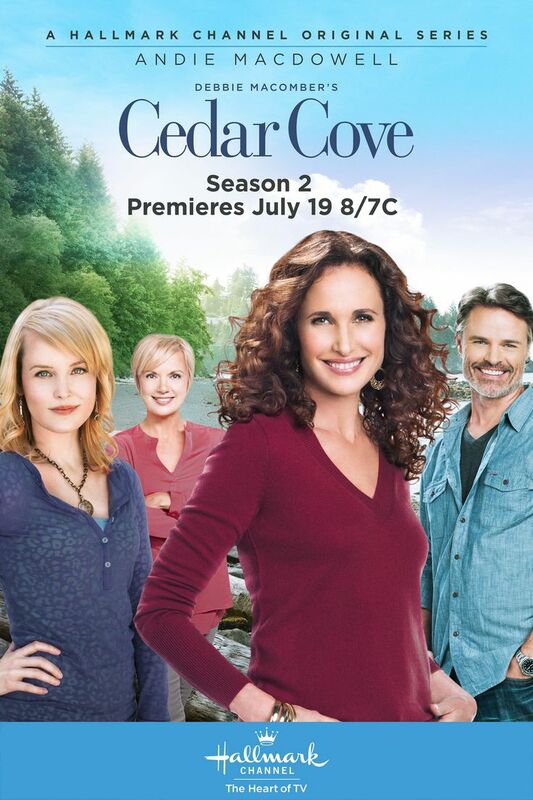 This program starring Andie MacDowell as “Judge Olivia Lockhart” is based on the Cedar Cove books written by bestselling author Debbie Macomber. Bruce Boxleitner & Barbara Niven co-star as “Bob & Peggy Beldon” the innkeepers of the Thyme and Tide B&B. This popular television program will remind people that bed and breakfasts have the comforts of home and the amenities of hotels. If you are not watching Cedar Cove already, I highly recommend it. 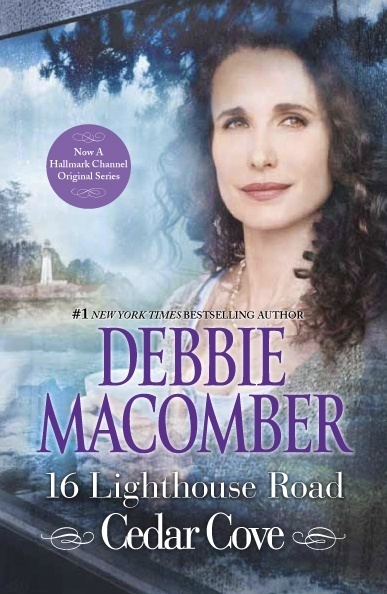 You can even have Debbie Macomber’s Cedar Cove books on your book shelves for your guests to read! For those of you who have see this television show, what do you think of it? I would love to read your comments! They may even feature written reviews from people who have dined there. If your bed and breakfast does not have a restaurant, do you have the time and resources to add one? Bed and breakfast restaurants should consider having blog posts written about different events or restaurant specials or musical guests coming. Continue to post new pictures to your website and blog throughout the seasons, as you add new menu items, and after you host various events such as weddings. Social media: Facebook fan page, Pinterest pins, Twitter updates, etc. When thinking of ways to increase your business, if you do not already have a tea room, bed and breakfast tea rooms could be a great idea. For those who do have tea rooms, are you promoting them online? Kristi Dement of Bed and Breakfast Blogging is happy to help you with this. There is no limit to your creativity in putting together your own guidebook for guests. Your main objective is to provide a resource that they can easily find key information that will answer their questions. The more pictures, the better! Remind them why they came to the area!